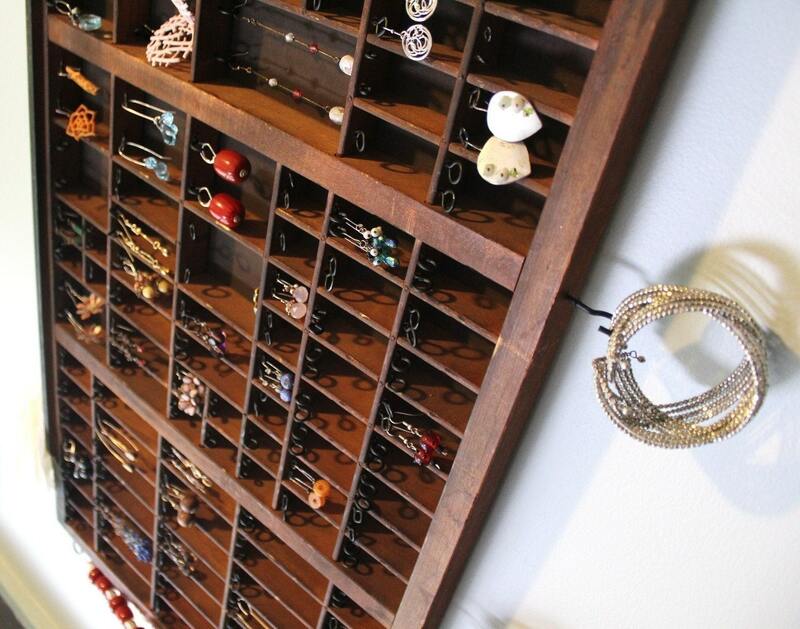 Inventive way to see your jewelry. 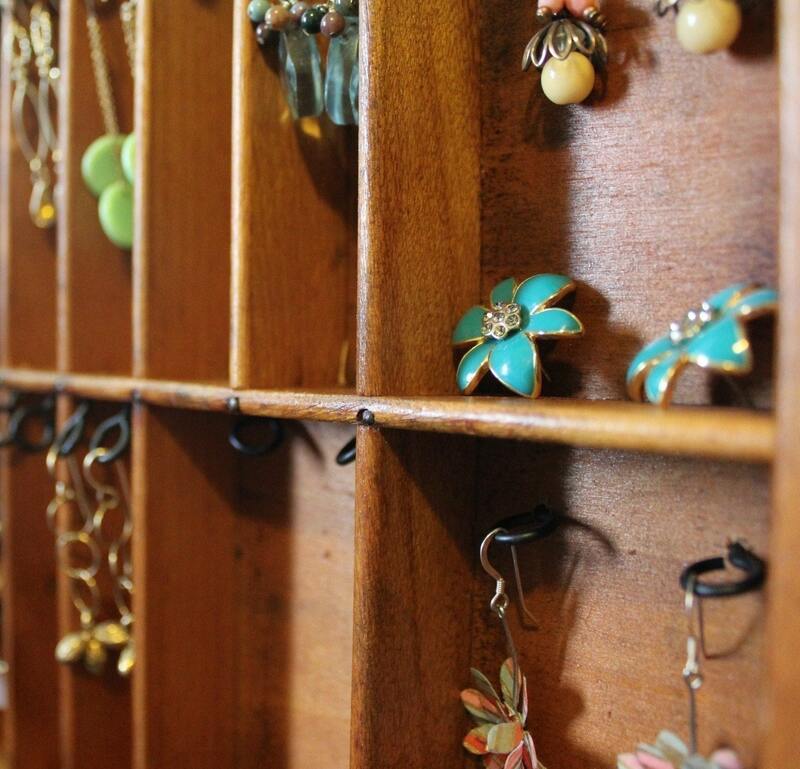 Makes a beautiful display in your bedroom or bathroom. 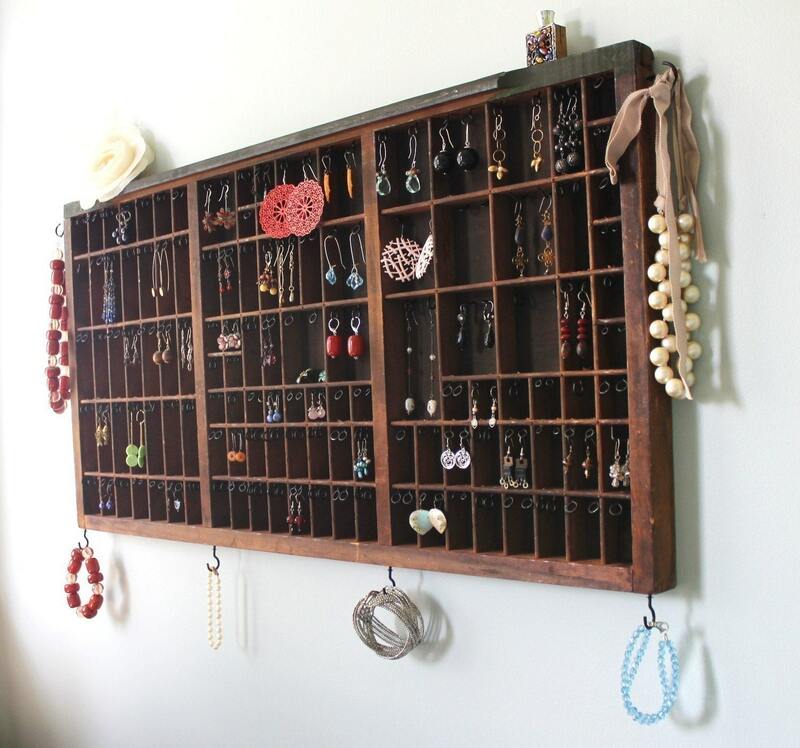 This rare wooden printer drawer has been reinvented to hold all of your earrings and more! 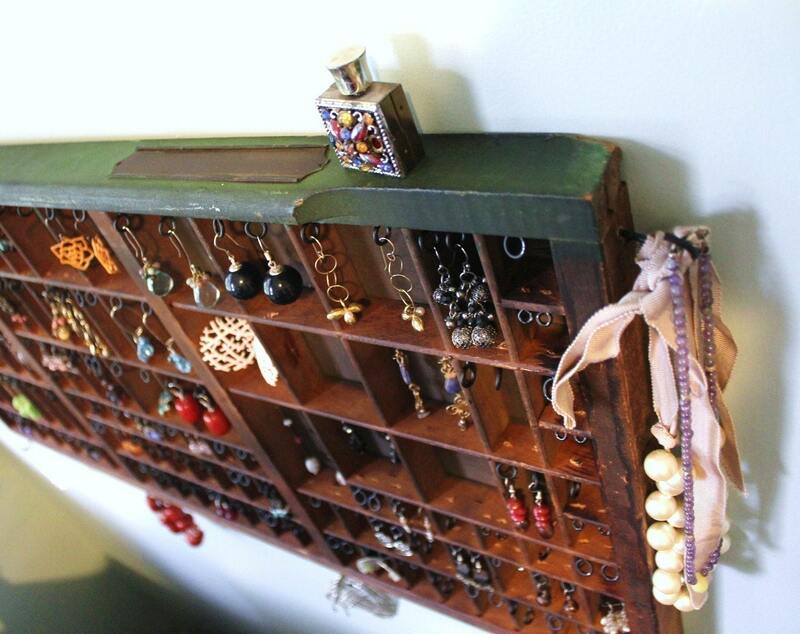 This listing is for a DARK NATURAL WOOD drawer made to hold earrings and more. 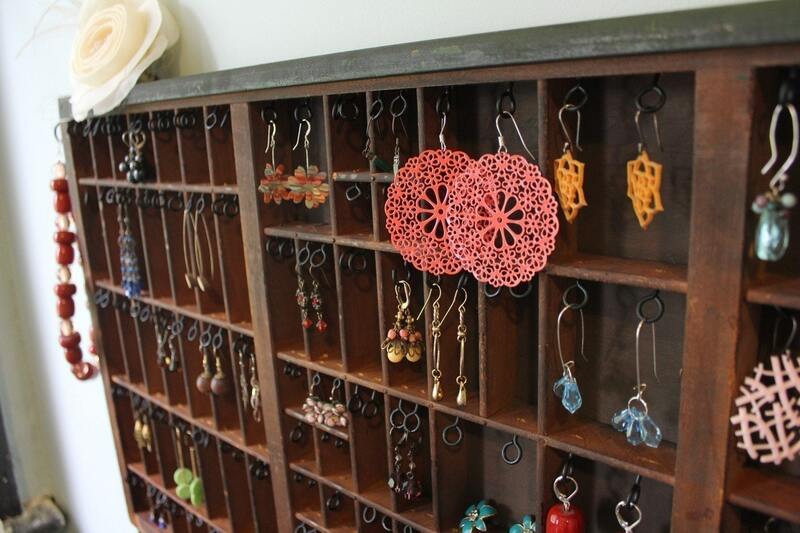 This creation is meant to organize your earrings into a work of art. This listing will have 7 hooks on the bottom and 1 on each side.